In Secureworks 2018 Security Leaders Survey, 43% of respondents said that regular threat hunting activities were part of their incident response program. All too often, companies are learning in the hardest way possible how they could have been better prepared or responded more effectively. 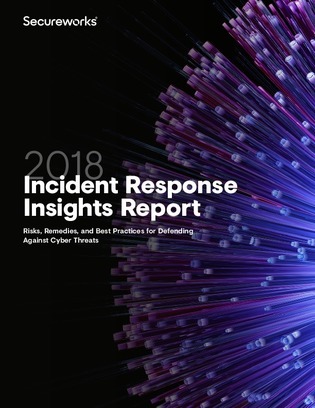 Access this 29-page research report to uncover best practices and valuable lessons learned over the past year from real-world incidents. By downloading this content, you agree that Secureworks may (as a TechTarget Partner) contact you by email, phone or other means with information about our products and services. You can unsubscribe at any time. To learn more, please read our Privacy Statement.